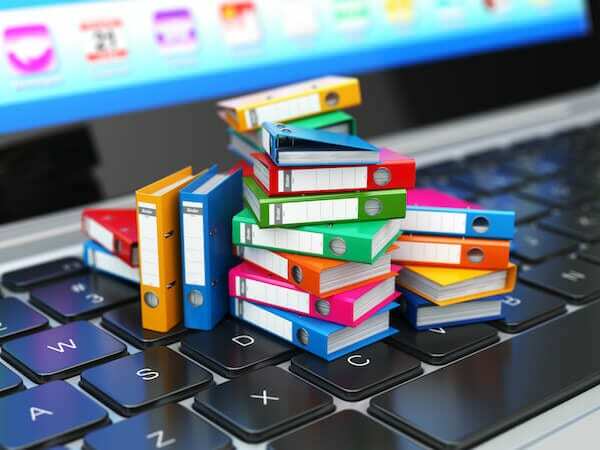 A recent study showed that the average employee spends around 1 hour/day searching for and retrieving documents that they need to do their job. Employee productivity matters to you and the success of your business. It’s worth taking a look at how your document management systems may be contributing to the egregious waste of labor. And this is only one of the management challenges organization’s face. Ransomware is up 250% in 2017. They’re getting more sophisticated and costing businesses over $1 billion/year. Document management today must balance security with the needs of day-to-day operations. Here’s how it’s done. The first step in document management is evaluating an organization’s infrastructure needs. By creating a clear and intuitive taxonomy, employees can more efficiently file and retrieve documents. An effective document management infrastructure is streamlined. It makes data storage and retrieval a no-brainer. Your industry may be highly regulated. Certain information should only be available to certain teams or departments. These should only be viewed by executives. You may want to give certain job roles read authority. But you don’t want that person to accidentally change or delete a document. By evaluating and then allocating permissions accordingly, everyone who needs access has it. And those who don’t, don’t. A streamlined document management system will incorporate a powerful search engine. Employees who are unsure of where to find information can easily retrieve it. In order for searches to work most effectively, consistent naming functions are necessary. This way, when an employee types in a keyword or phrase, they pull up the most relevant documents first. We’ve all used those searches that pull up hundreds of close matches that we must sift through. That’s not what you want. You need a strong search engine and consistent naming strategies to maximize productivity. Even the best laid out document management plan can become a mountain of clutter. An effective retention and update policy prevents this. People continue to refer to outdated information that should have been updated long ago. Documents that are no longer necessary take up server space so you have to buy more space. Automate the system to notify responsible parties in regular intervals that a review and/or discard decision is needed. Track documents that never get updated. Keep your streamlined data management system functioning at its best. Are documents being accessed by BYODs (bring your own device)? What firewalls are in place to prevent infections from spreading from device to device or device to server? How can you limit the damage of rogue or negligent employees or contractors? How do you screen and manage 3rd party applications and APIs? These are all questions you must ask in document management. Evaluate the specific risks within your organization. And implement strategies to mitigate risk. These nefarious malwares seek to limit, steal or destroy your data. But you can stop them with the right security in place. Did you know that 40% of businesses go out of business after a major disaster? And 75% of businesses don’t have an effective recovery plan. Whether this disaster is technological or physical, companies without a plan don’t recover. Document management today is highly complex. It’s not just about having an effective filing system in place. It’s about securing data and making filing and retrieval easy. The right system increases productivity while mitigating risks. To learn more about how we can help you develop a document management system that works for you, contact us today.